Feeding toddlers can be about as much fun as trying to spread bread with cold butter. The effort and the outcome just don’t match! So how do you get toddlers to eat? 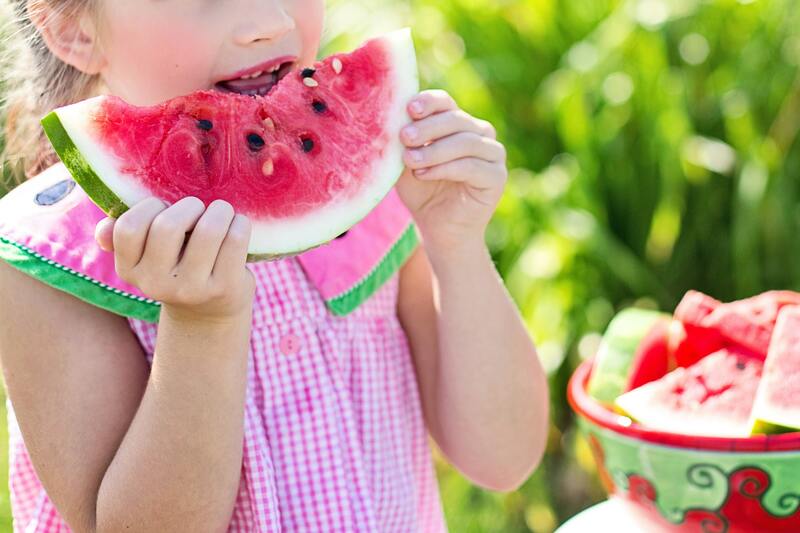 While there are few sights more satisfying than your little one enjoying something you’ve created that (gasp) may contain a vegetable; these wins are often few and far between. 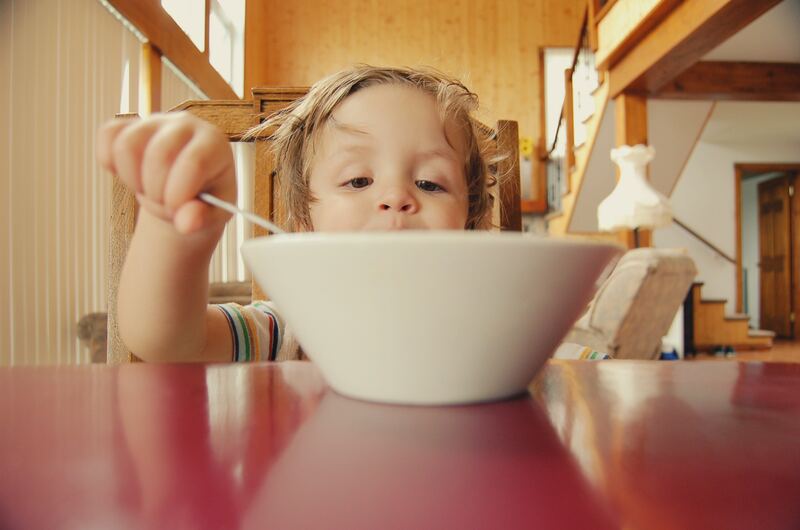 It’s no wonder that we turn to preferred and toddler-safe food, time and time again. But what if even the favourites aren’t hitting the spot? We have to think about our long term aims. We want our children to develop a positive and healthy response to a range of food. To understand that treats can be enjoyed in moderation but also that a bowl of homemade soup can be just as satisfying as a sticky bun. One of the best tips I ever received was to think about the whole week of food rather than just by each meal. So if you’ve managed a few peas, some beans, an apple, bread, cheese, porridge and a fishfinger, you’re actually doing pretty well! It’s important not to create a situation in which we categorise foods into ‘good’ and ‘bad’. Do you expect your three-year-old to sit down to a proper meal while you stand to have a bit of toast? You eating a range of food alongside your child sends the strongest positive message about food. That way if your child refuses to try something you can model your own enjoyment of that particular food. It might take time but one day they’ll try it for themselves. Sitting down together and making mealtimes a pleasant experience is important. Even if your child only picks at what’s on her plate; she’s still watching you, learning how to behave and enjoying quality time. As hard as it is, try and avoid getting into the battle at mealtimes. Letting them know that they have some choice in what they eat often goes a long way towards winning over control-hungry toddlers. This is known as the division of responsibility. It’s a parent’s job to decide the what, when and where of a meal and it’s the child’s responsibility to decide what they eat. 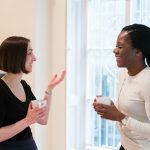 This approach can take a little getting used to and means letting go of some control over mealtimes. 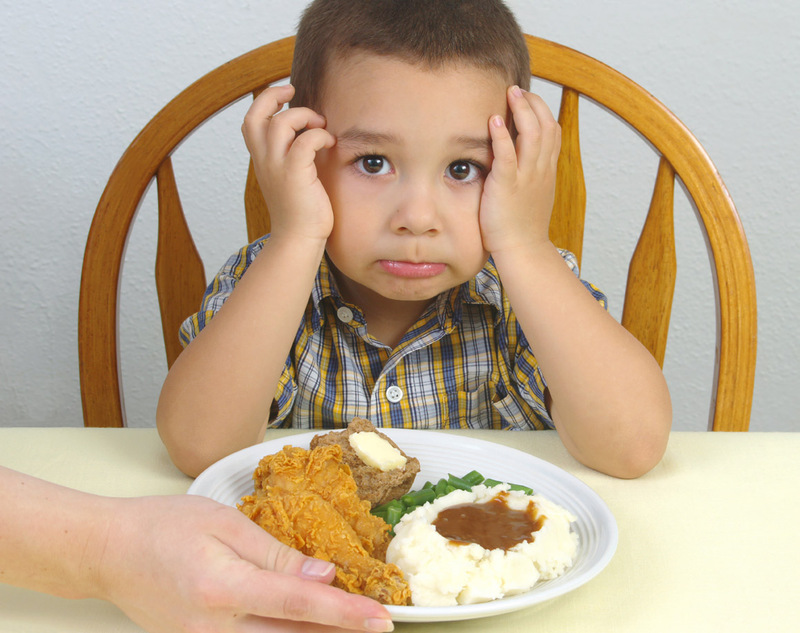 Rest assured most children won’t let themselves go too hungry and will just make up for it at the next meal. If a meal doesn’t go well, just chalk it up to experience and move on. Offering a healthy dessert that you’re comfortable with can mean that at least little tummies aren’t empty. Discuss the idea that bodies need food to grow big and strong. Help children to develop an understanding of what hungry or thirsty feels like. Ask them to notice when their tummy is full. It’ll take some time but will help your child develop a better response to their own cues rather than always just relying on you. *And have a lot of wipe clean surfaces. Put it this way, toddlers and sitting still isn’t a great combination. Have your child’s meal ready to go at the table before they sit down. Don’t expect them to sit much longer than around fifteen minutes. Another great strategy can be providing healthy snacks that they can grab as they play. You might be surprised to see how much more carrot a toddler will eat while he’s building with bricks. Let them look at cookery books with you, choose recipes, pick up ingredients in the shop and cook with them. Older toddlers can begin to learn skills like chopping or spreading. All of this interaction helps a toddler feel more connected to what they’re eating and sometimes more open to trying new things. 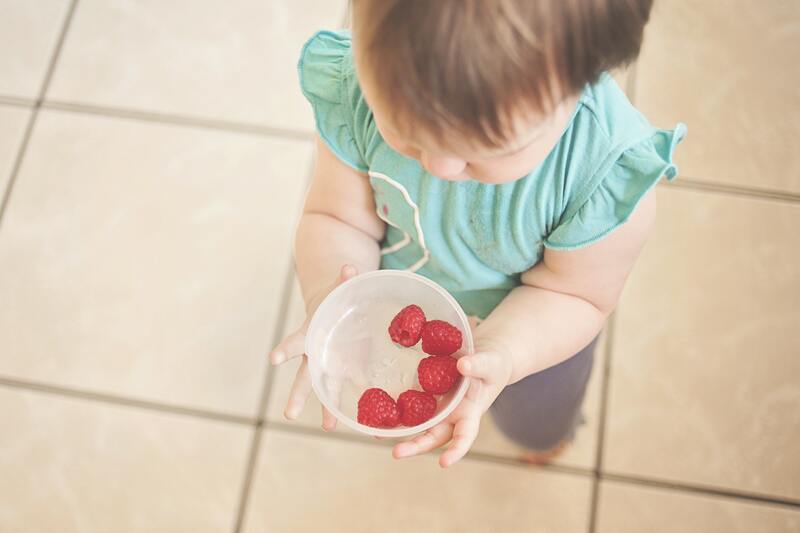 Giving tasks such as putting plates out or pouring their own drinks can help to develop a toddler’s enjoyment for mealtimes. Providing a low drawer in which they can get to their own cutlery and crockery can help them to learn valuable independence skills. Like a lot of parenting, the keys to successful eating include not getting hooked into battles or anxiety. Go along with your child’s pace and persistently model and support them to expand their horizons. And on the long days it’s fine to just serve beans again.